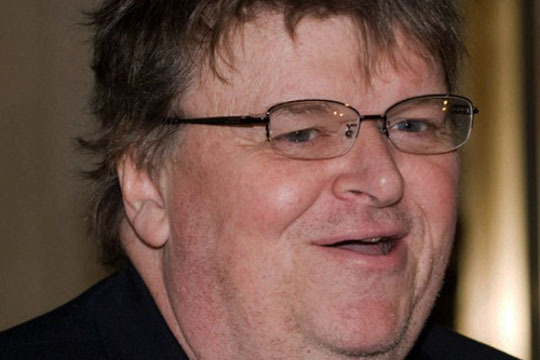 Moore is obviously suffering from a severe case of cranial-recto inversion and diarrhea of the mouth. His Castro-trained medicine man says they may be able to “pull him through”. The Obamacare debacle doesn’t affect me but I have been keeping up to date with its problems as healthcare interests me. We have the NHS in this country and even though it is much maligned on the whole they do a good job. My mother was treated for lung cancer off and on over a period of about 3 years and the cost of this treatment would have probably bankrupted my family. The NHS being there meant we could get the relevant treatment as soon as possible. My mum wasn’t put on a waiting list for the lung surgery and once chemotherapy and radiotherapy were required these were done quickly. I have never liked Michael Moore. He makes films which are edited to prove the point he wants to make. A decent documentary maker asks a question and then documents the answer as it happens. Michael Moore decides the answer and then films what is needed to prove it. Given the problems Obamacare has had surely they should have postponed the start date? The liberal media would no doubt praise the courage of Obama in postponing his pride and joy for the common good. Michael Moore is a propagandist in every sense of the word. He bends reality so he can push an agenda. He’s a hypocrite, too. He’ll blast large corporations like Halliburton and GM but he owns stock in both companies. When I was in college I had a prof who gave extra credit for seeing ‘Bowling for Columbine.’ That was one of the first classes I had someone come up to me after class to tell me that they appreciated how I pushed the prof to defend specious claims, etc. I don’t remember who the kid was, but if I met him today I’d say that this blog exists in small part because of his feedback. Interesting. Usually when I criticized a teacher (usually in high school), there would be a few dummies who would attack me for daring to question the teacher’s authority. They were in the minority, though. Andrew, thanks for comment. I’m glad your mom was able to receive the treatment she needed. You make an important point, in that each system has a number of benefits and trade-offs. No system is perfect, but the worst political hacks will do their best to distort reality to their liking. I believe that there are plenty of ways of lowering health care costs that don’t involve complete government takeover of an industry. The U.S. has led the world in the creation of new life-saving drugs and medical technology for quite some time, and it is my firm belief that any system that grants the federal government total control over the health care industry stifles innovation. That is a trade-off I am not willing to make. It is often hard to defend a more market-oriented approach to health care because even if “Wonder Drug X” was never invented, people would still be treated for their heart condition or diabetes or lung diseases or whatnot. The other issue is that once a drug is invented, countries are able to make generic versions of it say to the company that created it: “Okay, we’ll pay you for the cost of manufacturing the drug, but you can eat your own cost on the research and development.” Guys like Michael Moore then blame the company for profiting off a drug when they were the ones that took a huge financial risk in trying to get it to the market in the first place. Socialized medical care by the state can lead to this incredible bungle.